How to Choose Skirt for Different Body Shape ? Skirts are never out of fashion and it is my all time favorite. It has the power to transform the look of a women in to stunning fashionista. 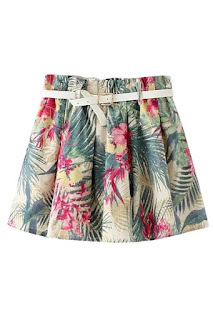 As you know that with power comes responsibility, the market has been flooded with different styles of skirts, so it a must for every woman to know which type will suit her body shape and enhance her beauty and hide the flaws. 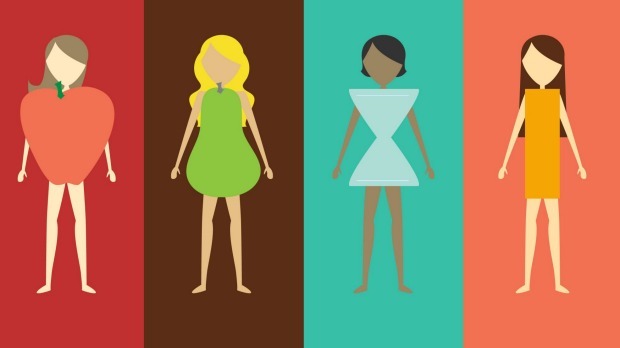 There are Four types of body shapes - Hourglass, Pear, Apple and Banana. 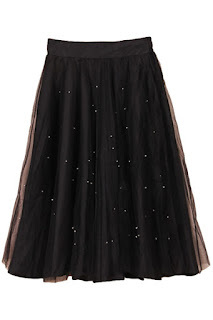 Let us see which kind of skirt will do justice for each body shape in detail. If your body has nearly or same proportion of bust and hip measurement with tiny waist, then you are a hourglass women. When looking out for skirts you should go for a type which grabs attention to your tiny waist and flaunt your curves - the best choice would be long length pencil skirt. Pencil skirt hugs at the waist at make sure that your tiny waist is on the spot light and smoothes out the thighs. High slit skirt also looks stunning on this shape. Celebrity Kim Kardashian who is known for her hourglass figure is frequently spotted wearing pencil skirt which enhances her figure. Women with this body shape have hips as the widest part of the body. A- line skirts are a God given gift for them, it enhances their curves without drawing attention to the hips. Long as well as short A- line skirts looks stunning on you. If you are going for a skirt make sure it hits right around the knees or it is full length. Stick on to solid colors instead of prints if you want to slim down the hips. Avoid ruffles that add up to your hips. Shakira is an example for pear shape body and she looks stunning in A-line skirt. If you are heavy on top, tend to store extra weight on your bust and stomach and have lean legs then you are an apple shaped woman. To balance the upper part of the body go for a skirt that flounces outward, think about loads of pleats and ruffles which gives an illusion of wide hips to match up with your upper body. You can also flaunt your legs by going on mini skirt and don't forget to keep your top sleek. Drew Barrymore is an example for woman with apple shape, spotted in mini skirt. If you have bust, waist and hip that are about same width you come under this category. You must look out for a skirt which creates an illusion of curves ,mini as well as enveloped skirts does that for you. Go for skirts with patterns and uneven hemlines. A-line skirts with ruffles will also look great with this body shape. Keira knightley is a good example for banana shape, she has been spotted wearing skirts which enhances her body shape. Zaful has an awesome collection of skirts for every body shape, If you would like to have a look at it click here. I like long as well as A-line skirts. What is your favorite type of Skirt ?